The results are guaranteed to be insightful, thought provoking and challenging. A powerful set of self-development resources is provided for each delegate to support ongoing learning, reflection and self-improvement. Effective leaders create high performance organisations – instilling their teams with passion and a strong sense of direction. They possess a strong sense of self-awareness and align their teams with the organisation’s vision. They understand that leadership is more than simply managing a process. 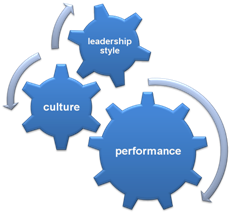 Organisational culture has a powerful effect on performance – enabling or frustrating an organisation from achieving its goals. Culture is often described as the way we do things around here. It comprises the attitudes, assumptions and values which condition the way individuals and the organisation work – the behavioural norms. Leaders set the tone for an organisation’s culture, modelling behaviours and deciding which get rewarded. The Life Styles Inventory helps individuals understand which behaviours are supporting and which are detracting from effective performance. The Organisational Culture Inventory measures and describes the culture of an organisation in a quantitative, easy to understand way.